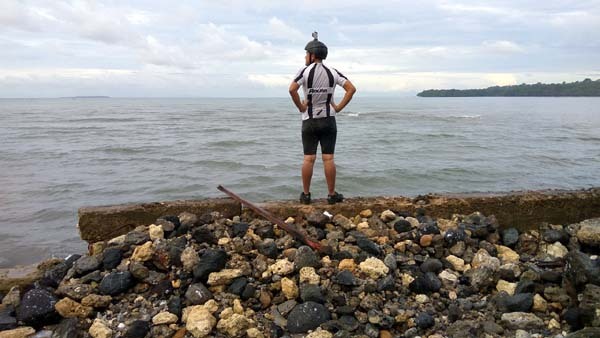 It was a leisurely ride along the main road towards Sikatuna until we veered off to the mountain back roads of Loboc all the way to the coastal town of Loay. The path was a mix of paved and dirt road with sloping downhills transitioning into moderate climbs. The heavy downpour the night before made for a wet ride which just added flavor to the ride. 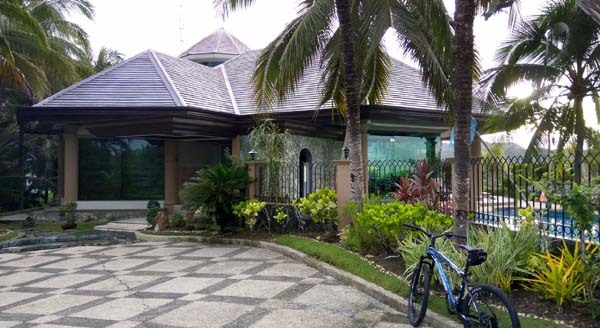 An interesting seque was making a detour to pass through the hidden but majestic Balay Silangan, a grand house-turned-resort on the mountain slope overlooking the sea and Loboc River. 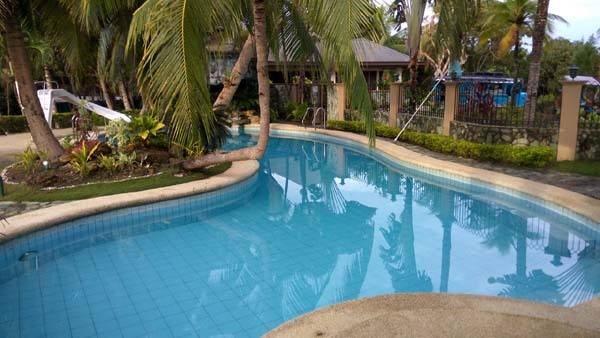 It had a swimming pool and terrace in a sprawling expanse. If you want to get away from all the madness, this place seem to offer secluded solace. 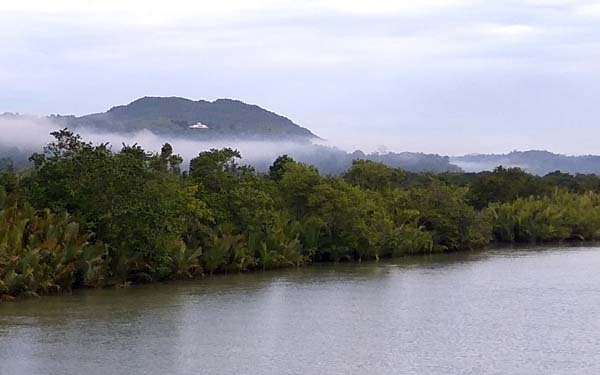 Loay is a sleepy coastal town at the mouth of the Loboc River. 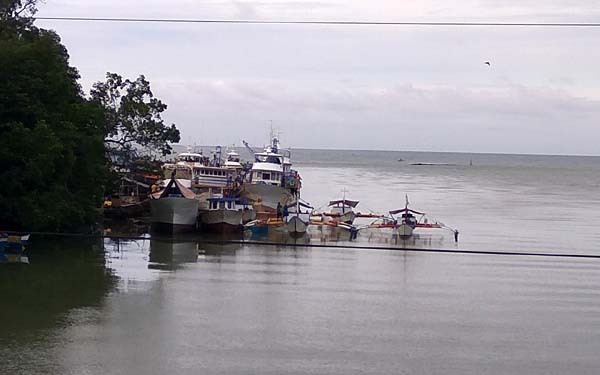 The town presents a compelling alternative to Philippine history - that the blood compact between Sikatuna and Legazpi actually happened in Loay and not the widely accepted version in Tagbilaran. 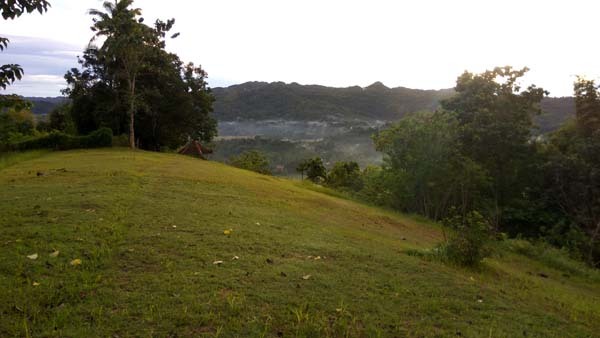 Because of many Spanish artifacts uncovered in Loay, it has become a popular "X marks the spot" for treasure hunters. 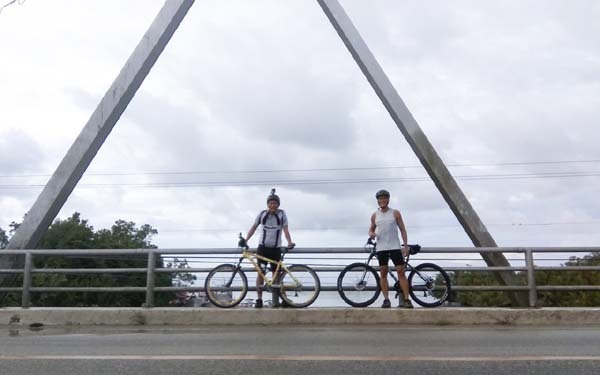 From Loay, the ride back to Loboc was through the main highway. I found the ride uncomfortable given that big trucks and buses ply that route, although not as frequent as most cities. The 5:30am ride is fast becoming a morning routine. What healthy way to start the day....a workout, a veiled discovery and good bonding with Jeffrey and Juan - my Loboc hosts who have been showing me the way. Thank you guys.